Our office offers a wide variety of foot and wound care products and services. IN-OFFICE X-RAY examination is performed when necessary in evaluating certain conditions of the foot and ankle. The PADnet test is a screening study of your arteries using pulse waves and blood pressures. This 20 minute test may detect blockages or narrowing of blood flow to your legs otherwise known as PAD or peripheral artery disease. People with PAD have a higher risk of death from heart attack and stroke. Risk factors for PAD include Diabetes, smoking, obesity, high blood pressure, high cholesterol, and heart disease. 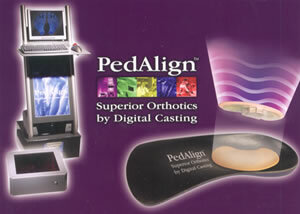 PedAlign is an infrared optical scanning system that captures your true foot contours and arch height in order to produce a high-quality custom-made orthotic device. Specific pressure points under the foot are identified, and appropriate modifications are made to the orthotic in order to re-align your foot to its proper position. Our 'GO LASER' is an exciting new laser that is used for the treatment of toenail fungus. No anesthesia is required and you can return to your activities the same day! Patients with Diabetes who have certain conditions are eligible to receive Extra-depth diabetic shoes and inserts annually. Protecting the feet is vital to the prevention of the serious complications which may occur with diabetes. Diabetes can damage nerves in the feet and legs, referred to as neuropathy, reducing the ability to feel pain. Along with poor blood flow, this may cause small sores and cuts on the feet to heal slowly which can lead to the development of a wound called a diabetic foot ulcer. A comprehensive foot care treatment plan is used to thoroughly evaluate the feet and provide treatment for neuropathy, vascular disease, infection, and wounds. WOUND CARE: Dr. Savidakis provides the latest treatment options for open, non-healing wounds on the feet and lower legs. Our office also provides a full-line of nutraMetrix® Isotonix line of nutritional supplements, in order to place you on the right track for obtaining your optimal health through a nutrition / wellness program. 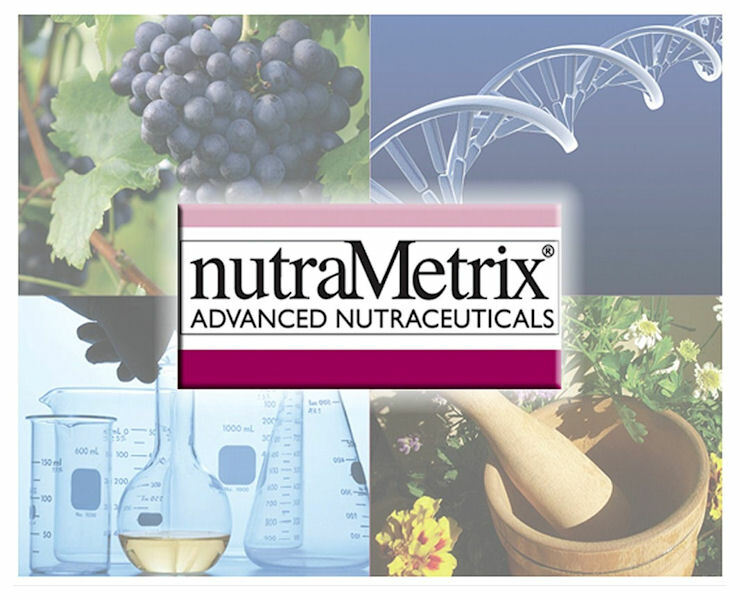 NutraMetrix products provide advanced wellness solutions for our patients. Changing the face of health care, one patient at a time.